Our theme this year, “Draw the Circle Wide,” is a call to all of us to support Mayflower in our mission to make this community and world more open, inclusive and just for everyone. Imam Asad Zaman, the executive director of the Muslim American Society of Minnesota, preached powerful words on Consecration Sunday (November 11). We know what is at stake. On Consecration Sunday and the Sundays leading up to it, we heard a common and consistent message from the pulpit that we should share God’s love by practicing radical and inclusive generosity. The Stewardship Ministry would like to thank everyone who has pledged. Continue our support for the many organizations that extend Mayflower’s mission. 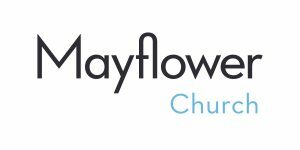 Mayflower hosts and nurtures more than 40 community and congregation building organizations, which requires funding for staff, maintenance and utilities. Maximize our funding for immigrants in need. Mayflower is committing 1% of our pledge income to support asylum seekers and the Mayflower Foundation has agreed to match that amount up to $7,000. Complete the pledge card that you should have received in the mail and return it either in the collection plate on Sunday or by return mail. If you need a new pledge card, there are extras in the church office. Pledge online here (select “Pledge” button).